Sought after ranch floor plan on just over an acre of land on paved roads! Home offers updated bathrooms, lighting, flooring and is move in ready. Large kitchen opens to living room and dining area to let the cook in the family visit while cooking. Master suite offers a bonus area for a home office, study or nursery area. 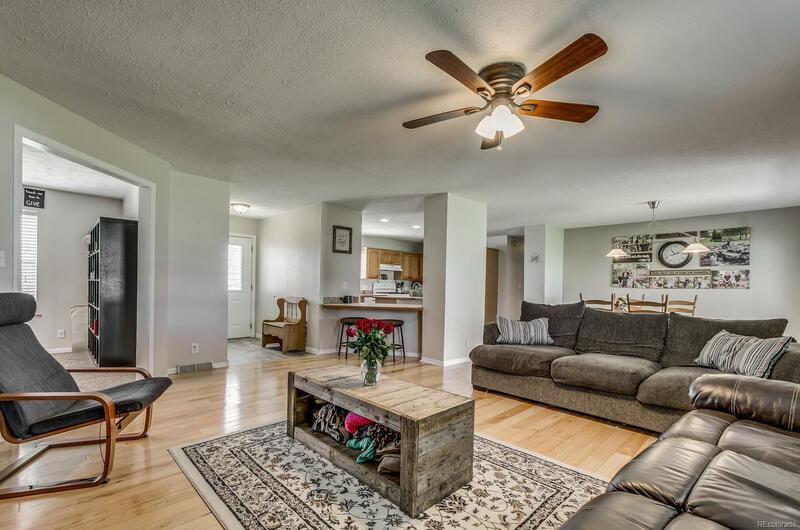 With 3 bedrooms, 2 full baths and a main level laundry this home is perfect for any age group. Check out the secret passage between the kids rooms. The basement offers a great play area in the flex space, a family room, and a fourth bedroom! Don't miss the Murphy bed installed in the 4th bedroom. Large shower in the basement bathroom is great for whoever get the downstairs bedroom. Kids will enjoy having friends over and playing in the playhouse, swingset, and riding bikes around the neighborhood. Take a moment to enjoy the sunrise over coffee or the sunset on the patios.